With its magnificent cascades, tree-shaded promenades and elegant observation terrace, Meridian Hill Park near 16th and Euclid Streets in northwest D.C., has the feel of an authentic Renaissance garden. In fact, the original plan for the 12-acre plot not far from the White House, called for a grand, formal park modeled after Italian gardens, such as those of King Victor Emmanuel III’s. The park was part of the grand design in the early 1900s to make the 16th St. corridor the home of foreign embassies. Indeed, the original Italian Embassy was located on 16th St., two blocks from Meridian Hill Park. What is little-known about the park is that the chief designer for the planting plan was Italian-American landscape architect Ferruccio Vitale. Later a member of the Commission of Fine Arts, Vitale played an integral role not only in the design and development of Meridian Hill Park but also for landscape designs on the Mall, at the National Gallery of Art and for the magnificent Longwood Gardens in Pennsylvania. The son of an architect, Vitale was born in Florence in 1875 and was educated in Italy. He first came to the United States at age 23, when he was appointed military attaché at the Italian Embassy. However, his intense passion for landscape architecture soon took over, and within a few years Vitale resigned his military position to pursue his true desire. Upon returning to Italy, Vitale studied landscape at Florence, Turin, and Paris, and after graduation, worked in his father’s architecture office. In 1904, he returned to the United States and went into private practice in New York City as a principal in the firm of Vitale, Brinkerhoff and Geifert. In 1919, he became chief designer of the planting plan for Meridian Hill Park, and his plan was incorporated into the final simplified plan for the park in 1920. 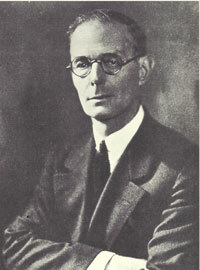 In 1927, Vitale was appointed to the Commission of Fine Arts by Pres. Calvin Coolidge, where he continued to take an active role in the development of the park, serving on the CFA until 1932, one year before he died of pneumonia in New York City. 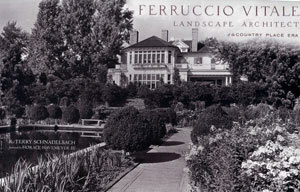 You can currently buy Schnadelbach's book on Ferruccio Vitale for $5 -on Amazon.com - get yourself a copy, you won't be disappointed.